This Afternoon... Showers likely and possibly a thunderstorm. Cloudy, with a steady temperature around 50. 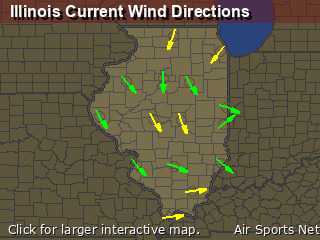 Northwest wind around 14 mph, with gusts as high as 21 mph. Chance of precipitation is 70%. New rainfall amounts of less than a tenth of an inch, except higher amounts possible in thunderstorms. Tonight... Showers. Low around 42. North wind 11 to 15 mph, with gusts as high as 28 mph. Chance of precipitation is 80%. New precipitation amounts between a tenth and quarter of an inch possible. Friday... A 30 percent chance of showers, mainly before 1pm. Cloudy, with a high near 48. Breezy, with a north wind 18 to 22 mph, with gusts as high as 37 mph. Friday Night... A 30 percent chance of showers between 9pm and 10pm. Partly cloudy, with a low around 38. Breezy, with a north wind 16 to 20 mph, with gusts as high as 31 mph. Saturday... Sunny, with a high near 62. Breezy, with a north northwest wind 17 to 20 mph, with gusts as high as 31 mph. Saturday Night... Mostly clear, with a low around 40. 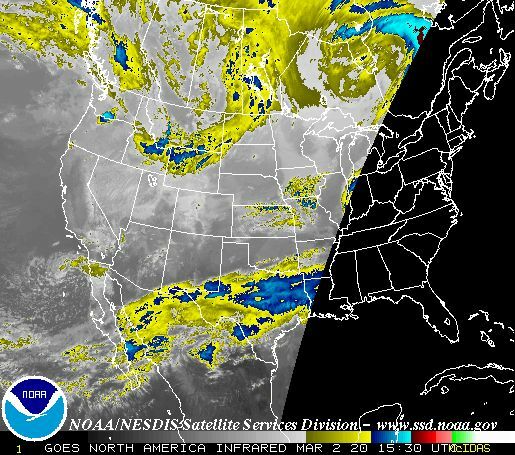 North northwest wind 5 to 9 mph becoming light and variable in the evening. Sunday... Sunny, with a high near 75. South southwest wind 5 to 11 mph, with gusts as high as 20 mph. Monday... A chance of showers and thunderstorms after 1pm. 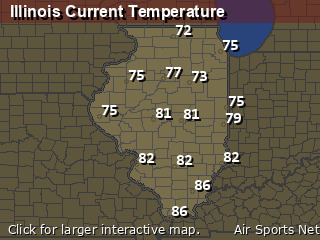 Partly sunny, with a high near 76.